Said one of them so young and bold. Eventually, history catches up with us. Or maybe it’s the other way around: the times we’ve been through turn into history. The Old Ottawa East Community Association’s series on Prime Ministers began with Sir John A. Macdonald – a figure the audience knew only through history. To wrap up this Canada150 project, Bob Plamondon bridged to our world: one Prime Minister lost in the mists of time, and four others whom some of us remember vividly. What future generations remember will eventually be the gold left behind in the sluice of time. Plamondon himself has participated in that story. He was the Progressive Conservative candidate for Ottawa Centre in the 1988 (free trade) election. The electors, he jokes, determined that his career would be as an historian of politicians, rather than a politician himself. He has written biographies of Pierre Trudeau and Jean Chrétien. Copies of his history of the Tories, Blue Thunder, were given away to the audience who came to hear his talk at St. Paul’s University. Drawing from his book, he skipped lightly and humorously through the decades. In the end, we were left with an impression of what is remembered now – what will turn into gold for future generations. R.B. Bennett governed not so much as a politician but as a chairman of the board. He created many of the institutions that defined Canada – the CBC, the Bank of Canada, the Wheat Board. He proposed public health care and unemployment insurance, but never had a chance to pursue the agenda. But in the public imagination he is perhaps best remembered for “the Bennett buggy” – an automobile pulled by a horse, because few on the prairies could afford gasoline. Bennett was the epitome of the plutocrat politician. John Diefenbaker was the opposite: a populist who railed against the established order, even in his own party. “Everyone is against me but the people,” he’d say. Diefenbaker championed un-hyphenated Canadianism: “One Canada.” He regarded his crowning achievement as the Bill of Rights. 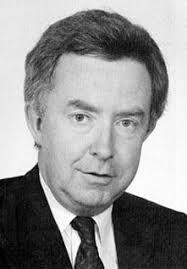 Plamondon was not kind in his assessment of Joe Clark, a Prime Minister for 273 days. The media had derided Clark as a wimp, said Plamondon, and as Prime Minister, he tried to show how tough he was. Given a minority, he governed as if he had a majority. The first step was to bring down a tough budget. The resulting election consigned the Tories once more to Opposition. Neither in his talk nor in his book does Plamondon account for Brian Mulroney’s role in overthrowing Clark – it was all done by others, it seems. But Plamondon underscores that, with Mulroney, the PCs got the Leader they needed. Mulroney proved to be one of the transformational Prime Ministers. His legacy is strong: the Free Trade Agreement, the Acid Rain Treaty, major tax reform (GST), global leadership against South African apartheid, and moving government operations into the black (only interest on the debt put budgets into deficit). Upon winning the PC Leadership, she had the highest ratings in Canadian history. At the end of the 1994 election, the Tories were reduced to two seats. Ah yes, we remember it well. But it’s history now. In the Q&A period, someone asked whether Campbell had been set up as a sacrificial lamb destined to lose. Plamondon replied that she certainly had a good shot. Chretien was regarded as “yesterday’s man.” Campbell ran an incompetent campaign. Diefenbaker and the Avro Arrow: intercontinental missiles had replaced planes at the forefront of defence policy. It was Lester Pearson, as Louis St. Laurent’s foreign minister, who first recommended against the Arrow. The money Mulroney took from Karl-Heinz Schreiber: it showed “extraordinary bad judgement” but the Oliphant inquiry found no connection with government decisions. Macdonald, Mulroney and Chretien each have these black marks against them. Now that the series is over, what can be done to continue celebrating our Prime Ministers? Plamondon replied, open a National Portrait Gallery. The talk history did not continue to include Stephen Harper. Too recent, Plamondon argued. Not yet turned to gold, it seems. The video archive of the entire Prime Minister’s series will be made available at https://www.ottawaeast.ca/.